Ekambareswara Swamy temple is one of the famous temples in Kanchipuram, dedicated to Lord Shiva. The Siva Linga in Ekambareswara Swamy temple is one among the Pancha Bootha(five elements) lingas. The five elements are Earth, Air, Water, Fire, Sky. This temple represents the element EARTH. The Siva Lingam inside the temple is made of Sand by Kamakshi Devi(Parvathi Devi) under a mango tree. Kamakshi Devi . It is also called as Rudhrasala, Rudrakoti, Bhukailasah. Lord Siva and Parvathi Devi were sporting in Kailasam. Goddess in her playful mood closed the eyes of Lord Siva. The whole world became dark and life on earth was in danger. Lord Siva then opened his third eye to save the world. Goddess asked Lord Siva to forgive her mistake. Lord Siva told her to go to earth and do penanace. Parvathi Devi came to Badarika Asramam and took the form of a small baby. 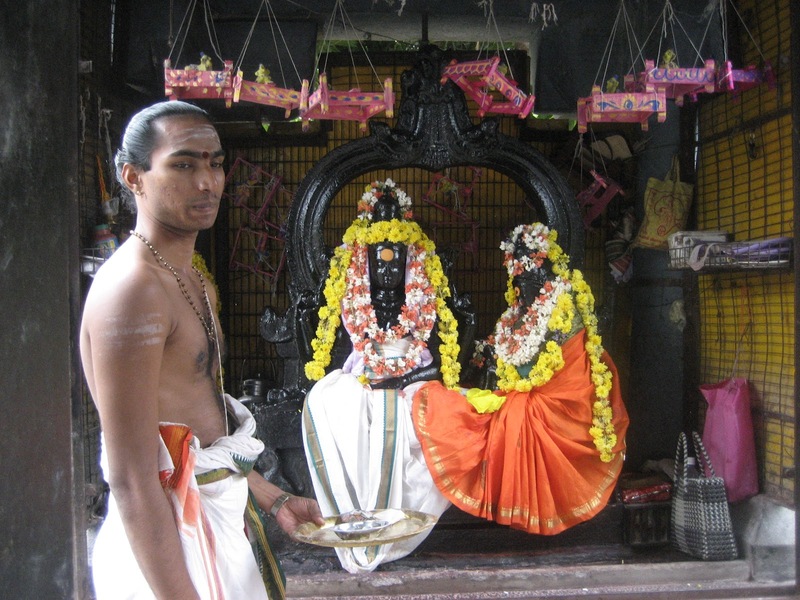 Kathyayana Mahamuni was doing penance for a child in Badarika Asramam. He was very happy to see this child and took her to his Asramam. 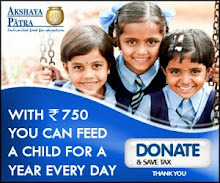 So Parvathi Devi got the name Kathyayani. Kathyayana muni knows the reason why she came on earth so (as she grew) he gave her Yogadandam, Japamala, Deepasthambam, Pot, Skin of tiger, Book, Roasted green gram (Pesara pappu), Ganga water, Sand from river Ganga, Umbrella, and other thing that were necessary to do penance and told her to travel towards south direction to reach Kanchipuram and pray for Lord Siva. He told some symbols to identify Kanchipuram. While traveling Kathyayani Devi reached a place where skin of tiger given by muni changed into Somavrutham, Pot changed into Peetam, Japamala tured into Bilwapumala, Umbrella as Nagabaranam, Yogadandam as Trisulam, Book as Kamadenu, roasted green gram as Sprouts. She comfirmed that place as Kanchipuram. She started her penance under a mango tree. (The four stems of this mango tree are believed as four Vedas. Now there is a small mango tree in its place. This is also not planted by any one. Each branch bears fruits with different taste). She made a Sivalingam by the Sand given by muni. She kept two maids for protection and created Panchagni and stood on its tip and started her penance. 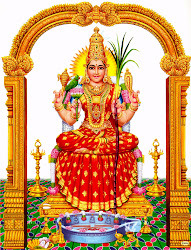 (you can see her as tapas Kamakshi Amman in Mangadu temple, Chennai). IN THE MONTH OF PHALGUNI, THE MARRIAGE OF LORD SIVA AND PARVATI IS CELEBRATED WITH GREAT POMP AND SPLENDOR. This is one of the most ancient temples in India and has been in existence even prior to 600 A.D. The temple covers an area of over 40 acres. The Raja Gopuram is 172 feet height and was built by Vijayanagar Monarch Krishnadevaraya. THE main Lingam is made of Sand so Abishekam is not done. It is covered with silver sheath. Some special oil is used here. 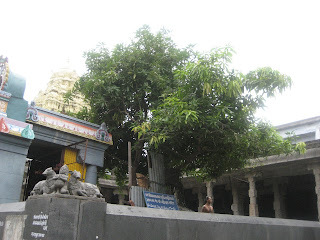 Under the mango tree where Kamakshi Amman prayed Lord Siva deities of Ekambareswarar and Kamakshi Amman are installed and poojas are performed. It is believed that our wishes will be fulfilled by doing poojas there. CHILDLESS couples tie swings and perform pooja to the Lord. For marriage also devotees will perform pooja there as it is the place where Kamakshi Devi prayed Lord Siva to marry her. It is one among the 108 divya desams.